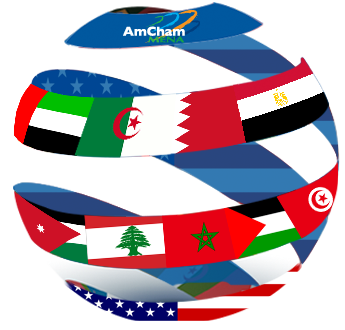 Please note that any services offered by each respective AmCham for free to its members will also be offered for free to members of AmCham Egypt, AmCham Jordan, AmCham Lebanon, AmCham Morocco, AmCham Tunisia, AmCham Algeria, AmCham Palestine and AmCham Abu Dhabi. to meet with Jordanian and US firms in Jordan. Utilizing AmCham-Jordan Executive Club Events as a platform to Promote Company Products and Catalogs. Keeping up-to date by receiving selected Publications (Quarterly Newsletter, Jordan and US Industry News and Trade compliance information). regarding general assistance in doing business in Jordan and setting investments and joint ventures. by area of expertise/interest, this provides further opportunities for networking and matchmaking. Per request from InfoCenter. Arrangement of business meetings for U.S. companies traveling to the region in search of potential commercial partners. special room rates at five star hotels for AmCham-Jordan members and visitors. .g. (Conferences, Seminars, Executive Club Events and more). Various Sponsorship Opportunities to reach different target audience keep the business community informed of your activities by putting advertisements in our news letters and publications. AmCham-Jordan could assist you in finding partners in Jordan, establishing linkages with key players in their industries in Jordan, and assist in the technicalities of setting up a business in Jordan. Custom-made answer to specific questions.